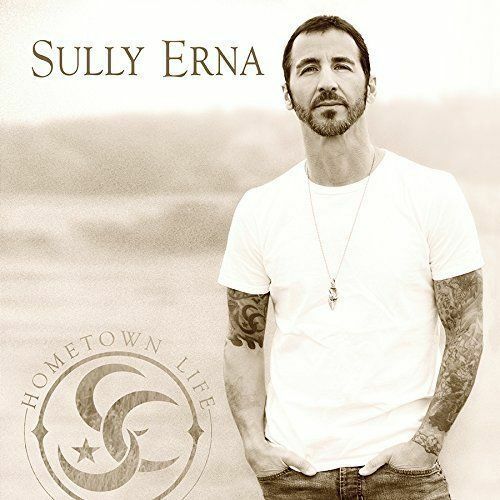 SULLY ERNA - HOMETOWN LIFE VINYL (LP BLACK) | Online Shop | Wizard LTD. Album: "HOMETOWN LIFE VINYL (LP BLACK)"
Like light shining through the clouds after a storm, Sully Erna&apos;s solo sophomore outing Hometown Life is bright, comforting, and uplifting. While his 2010 solo debut Avalon was just a few steps away from Godsmack&apos;s more subdued material, Hometown Life is a full embrace of everything else Erna enjoys, including blues, country, and R&B. Hometown Life crackles with spirit, a somewhat jarring shift for anyone in search of a dose of the typical Godsmack spookiness. Erna sets aside that darkness and angst in favor of an intimate, personal experience. For Godsmack fans who have grown along with him, this will be a welcome and relaxing break after decades of head-cracking post-grunge ragers. Here, Erna allows himself to be vulnerable, which lends emotional heft to tracks like the soaring "Blue Skies" and mournful "Falling to Black." He contemplates mortality on the gypsy jam "Father of Time" and pays homage to his Lawrence, Massachusetts roots on the title track. A familiar (and familial) team has once again joined Erna in the studio: in addition to backing band Chris Lester, Tim Theriault, and Chris Decato, other players who helped with Avalon have also returned, including Irina Chirkova, who infuses the album with her cello swells, and Lisa Guyer, who provides backing vocals and contributes another highlight duet on "Forever My Infinity." New faces include drummer David Stefanelli and songwriter Zac Malloy (Daughtry, Skillet, Tim McGraw) who injects a little Nashville warmth to "Your Own Drum" and "Different Kind of Tears." One guest warrants special mention: Erna&apos;s father, Salvatore Sr., whose trumpet lends a cool bluesy vibe to the toe-tapping jam "Turn It Up!" All of these studio guests make Hometown Life feel like an extended jam session among loved ones. For a fiery frontman responsible for some of the heaviest songs in modern rock, it&apos;s a pleasing and nourishing departure, a journey of self-reflection and maturation. Audio Mixer: Dave Fortman .Recording information: GSHQ Derry, NH.Photographer: Paris Visone.